*NEW* Sinclair ZX Microdrive Replacement Faceplate / Fascia 22 days, 09h:56m:58s £10.00 Buy now! Commodore Amiga Game: B17 Flying Fortress by MicroProse 18 days, 02h:46m:01s £12.00 Buy now! *RARE* Trojan Cad Master Light Pen & Graphics Software for Commodore 64 21 days, 09h:14m:43s £40.00 Buy now! BetaGamma BBC 8 Bit IDE Compact Flash Kit	 0 days, 00h:26m:19s	 £38.00 Buy now! Sinclair QL Wargame: Grey Wolf	 0 days, 00h:26m:19s	 £8.00 Buy now! Sinclair QL Puzzle Game: Double Block	 0 days, 00h:26m:19s	 £5.00 Buy now! Jupiter Ace ZXVid - Composite Video/ULA Fix (FITTED)	 0 days, 00h:26m:19s	 £45.00 Buy now! Sinclair QL Adventure Game: Aquanaut 471	 0 days, 00h:26m:19s	 £8.00 Buy now! Sinclair QL (Digital) Box-Set - QL Games 2	 0 days, 00h:26m:19s	 £15.00 Buy now! Sinclair QL Arcade Game: Stone Raider II	 0 days, 00h:27m:51s	 £5.00 Buy now! New (Old Stock) Atari 2600Jr Select & Reset Switch Mylar (OEM)	 0 days, 00h:27m:51s	 £3.50 Buy now! Sinclair QL Box-Set - QL Games 2	 0 days, 00h:27m:51s	 £20.00 Buy now! 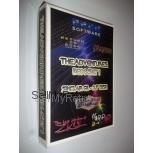 Sinclair QL Box-Set - QL Adventures 1	 0 days, 00h:27m:51s	 £20.00 Buy now! Sinclair ZX Spectrum Teenage Manic Miner T-Shirt	 0 days, 00h:27m:51s	 £19.99 Buy now! Sinclair Microdrive Notepad (White)	 0 days, 00h:27m:51s	 £1.00 Buy now! Sinclair QL (Digital) Box-Set - QL Games 3	 0 days, 00h:27m:51s	 £15.00 Buy now! Sinclair ZX / QL Microdrive Cartridge Cover	 0 days, 00h:27m:51s	 £0.50 Buy now! 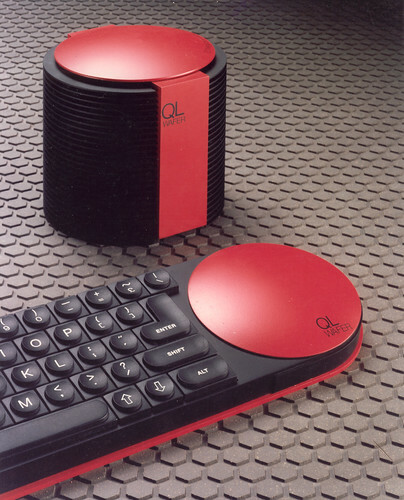 Sinclair QL (DIgital) Box-Set - QL Games 1	 0 days, 00h:27m:51s	 £15.00 Buy now! AM27C010-205 128K EPROM	 0 days, 00h:27m:51s	 £1.10 Buy now! Sinclair QL Adventure Game: The Prawn	 0 days, 00h:27m:51s	 £8.00 Buy now! Sinclair QL (DIgital) Box-Set - QL Games 5	 0 days, 00h:27m:51s	 £15.00 Buy now! Sinclair QL Box-Set - QL Adventures 2	 0 days, 00h:27m:51s	 £15.00 Buy now! Toshiba 8085 Processor	 0 days, 00h:29m:54s	 £5.00 Buy now!